From the eastern side of the Grand Arch, the walk heads over the road to the right of the bridge and the lake behind. 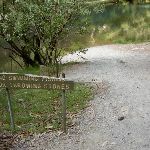 The walk then tends left around the lake for approximately 40m to an intersection marked by a ‘No swimming fishing or throwing stones’ sign. 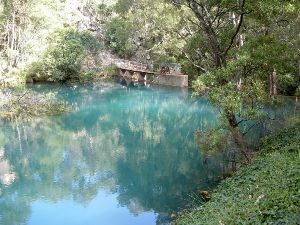 Blue Lake, or Lake Jenolan, is a small lake on the eastern side of the Grand Arch. 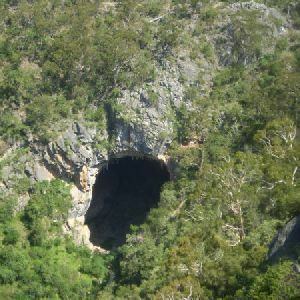 The lake is fed by the River Styx and the Jenolan River. 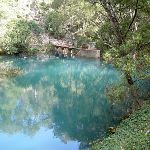 Blue Lake’s intense colour comes from the refraction of light through limestone sediments. 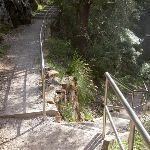 Continue straight: From the intersection, the walk follows the railing around the hillside, with the water to the left. 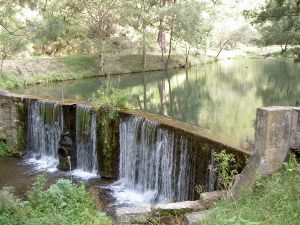 The path passes a large weir on the left and continues past some old piping (which is sign marked). 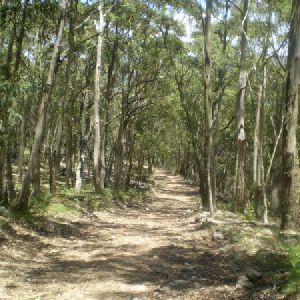 The track continues around the hill for approximately 50m to the unsignposted intersection. 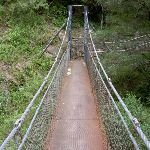 Continue straight: From the intersection, this walk rounds the hillside and down a suspended bridge. 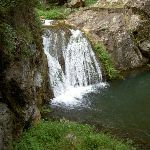 The walk winds to the bottom of a waterfall and continues above the creek (on the left) for a short time. The track then turns right, following the hillside around to comes to a bridge. 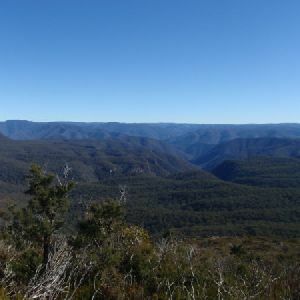 The walk passes over the bridge then winds further around the hillside and banks of the creek to the old Jenolan Hydroelectric Power Station and picnic area. 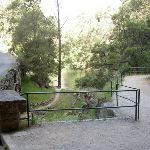 Jenolan Cave Hydroelectric Power Station was originally a Leffel Wheel, built in 1889 on the Jenolan River. The building has a glass front with a light switch to show the large machinery which was once used to power Jenolan. 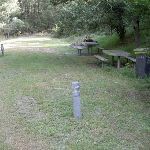 Near the hydroelectric building, there is a nice picnic area by the weir. 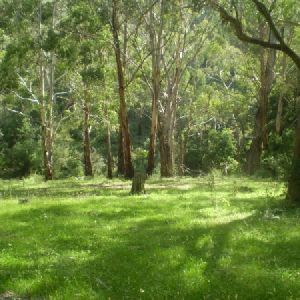 Turn around: From Jenolan Caves Hydroelectric Power Station, this walk heads through the picnic area, with the creek below on the left. 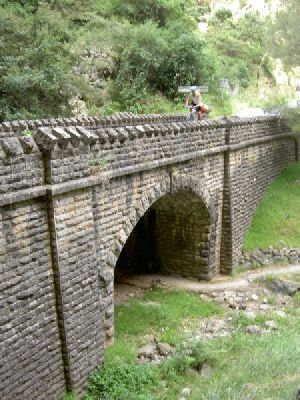 The track winds around the hillside and banks of the creek, then passes over a bridge. 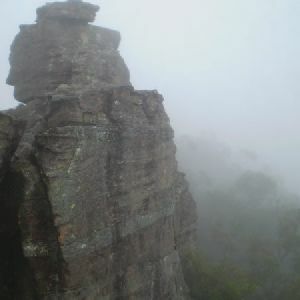 The track winds along the creek a little more before turning left around the hillside, following the left bank of the creek for approximately 300m to the bottom of a waterfall. The track then zigzags up the suspended bridge to round the hillside to an intersection above a bridge. 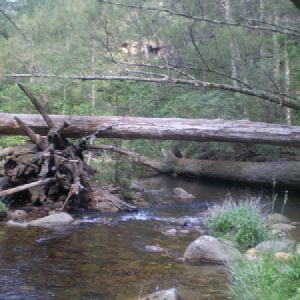 Turn right: From the intersection, this walk heads down to the creek bed and over the bridge to the other side of the creek. The walk then heads around and up the hillside for a little while, passing old pipes, the weir and some seats on the left. The track leads to the right, under a bridge, and heads up some stairs, then follows the railed track to the road before the Grand Arch. 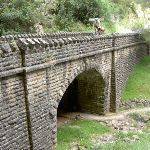 The bridge spanning out from the Grand Arch was designed by Mr Ernest M. De Burgh, and built by the Public Works Department in 1896. 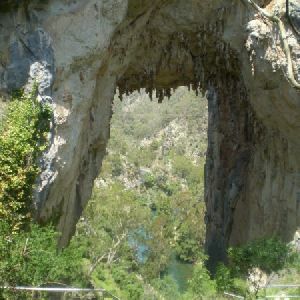 The bridge allowed greater access to the caves and was built from locally cut limestone. 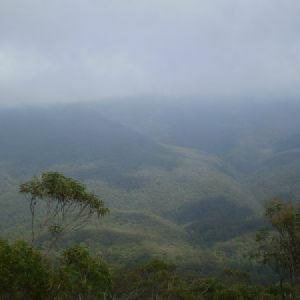 Around 2.5km of this walk has short steep hills, whilst the remaining 110m has gentle hills with occasional steps. 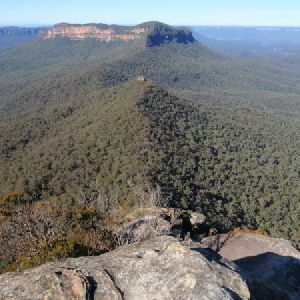 Around 2.3km of this walk is close to useful facilities (such as fenced cliffs and seats), whilst the remaining 260m has limited facilities (such as not all cliffs fenced). 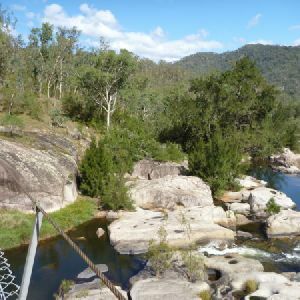 A list of walks that share part of the track with the River Walk (Blue Lake) walk. 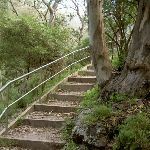 A list of walks that start near the River Walk (Blue Lake) walk. 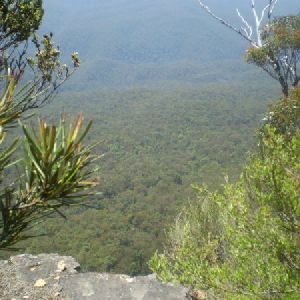 http://new.wildwalks.com/wildwalks_custom/includes/walk_fire_danger.php?walkid=nsw-jkcr-rwl Each park may have its own fire ban, this rating is only valid for today and is based on information from the RFS Please check the RFS Website for more information.